Diabetes makes your blood sugar level higher than normal. High blood sugar levels can damage the nerves in your body. When diabetes damages the nerves, it’s called diabetic neuropathy and can cause severe diabetic neuropathy pain. 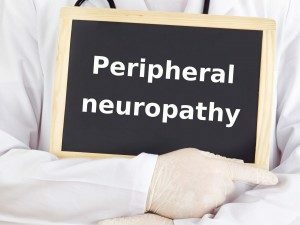 Neuropathy is one of the most common and troublesome complications of diabetes, and the number of people afflicted is likely to increase steadily as the incidence of diabetes in the developed world rises. Diabetic neuropathy makes your nerves less effective, so they can’t carry messages to the brain and other parts of your body. Diabetic neuropathy pain can affect your ability to feel sensation in different parts of your body, especially your feet and toes. Charcot foot disease can also be problem caused by uncontrolled diabetic neuropathy. Elevated blood sugar levels cause chemical changes in nerves. These changes impair the nerves’ ability to transmit signals. Elevated sugar levels also damages blood vessels that carry oxygen and nutrients to the nerves. Researchers have focused on the effect that excessive blood sugar levels have on nitric oxide (NO) in nerves. Vitamin and other supplements such as L-Carnitine and ALA (alpha lipoic acid) can help decrease diabetic neuropathy. Electrical stimulation with anesthetic injection 2-3 time per week for 8 weeks treatments. Anodyne therapy but many studies have shown that this treatment may not be effective and most insurance companies do not cover this type of treatment. See this PDF to tell you the truth about the mis-advertised generic product called Folast.